Volkswagen manufactured most all of its models with a 1 key system. Your car came with two original emblem keys made of steel. These keys were never ment to be used! You were suppose to make copies from these keys to use on a daily basis. When they became worn, broken or lost. You made new keys from the originals. Many Volkswagen keys look similar. The tendency is to judge the application of the key by the shape or style of the head. This is not correct. There are many different keys with the same head. You must compare the grooves. The grooves are referred to as the profile (keyway). Many profiles are mirror images of themselves. Example su/sv K/M L/R E/H. Instead of designing a new profile, Volkswagen would just reverse the engineering making a mirror image keyway. The key cuts are determined by a code. If you have an original VW emblem key the code number is on the key. If you have a generic copy the code can be found on locks and handles from 1949 to 1999. The letter in the code determines the profile (keyway). The vehicle identification number (vin) has nothing to do with the lock code on these older models. Only the delivering dealer would have recorded the code. Volkswagen contracted with lock manufacturers to make the locks. Some locks are Volkswagen. Others are AKS, WTO, UBE, Neiman, Huff, Witte, Hella, Ellen to mention the majority. Those original keys may bear their mark. Those marks are not codes. Take a picture of your key today, it may be your spare someday as a new key can be made from that photo. Send it to the cloud or yourself. It costs you nothing, it may be priceless one day, for you. 1949 to 1999 keys are cut to code, not copied, this insures that the spacing is correct and the key is back to its original form and look. This is a standard service to cut rather than copy. We can send you a key made from code and picture of the key we are duplicating. The code is required if your key is a poor copy. make a key for a lock that does not have a key. 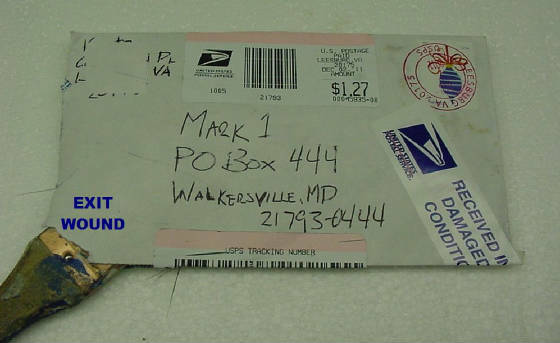 Keys are shipped with tracking by USPS, often sent the same day. There is no extra charge for shipping, tracking, paypal fees, etc. But please select the correct lost key form for the letter code of your lost key. This key becomes your spare, or you can make more copies from it. 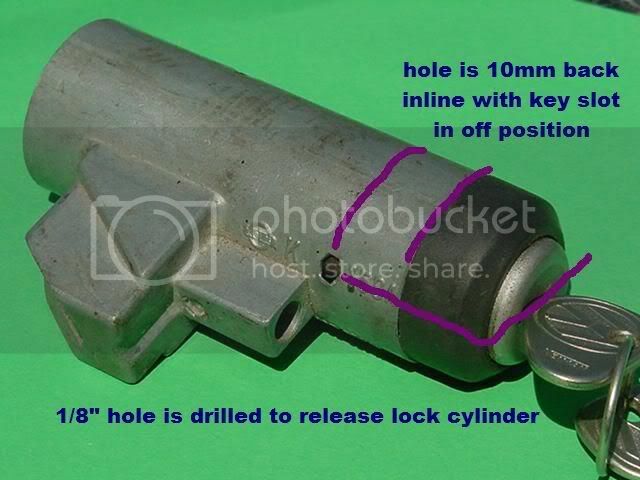 The code from a handle or lock cylinder is needed to make the key. Numbers like 111 837 205 D are not a code, it is the part number of the handle. Number K150A is the casting number to a lock housing. Any number that has a positive relief has been cast into the housing and is the same on EVERY car. You are looking for numbers stamped INTO the metal. Generic keys have a $3 shipping charge per order in the USA, additional shipping charges may apply to international orders. We do not charge addtional PayPal fees for using PayPal. Please do not send multiple payments for more than one item, ask for what you want and a paypal invoice for all items requested will be sent. No shipping charges for key purchases. *International purchases of flat metal keys less than $30 ship free, all others now have a $13.50 minimum shipping charge for emblem keys with delivery confirmation to 19 countries, Paypal will require $60 EMS to track to other countries worldwide without edelcon service. Generic replacement key for Aluminum, broken or worn out keys. Replace that old key before it becomes a problem or if you only have one key, time to get a new key and make your current key the spare. If you have questions please email me. Can I really do this? The answer is yes, since 1982 making keys without one to copy from, using only a picture to determine the key code, providing keys for cars with lost keys. I specialize in Volkswagen keys only. Since 1982 I have been cutting keys for the older Volkswagens. Customers would leave their car and forget to leave the key. Within minutes, I could make a key and service the car, and charge the customer for the extra key..... they were cheap back then. Guarantee: Most all keys cut and provided by me work properly. On occasion some keys need adjustments. On rare occasions I make a mistake and cut the key to the wrong code. Keys will be replaced. There are no refunds. We will work through the problem. The purpose is to be successful. Refunds would not be a solution. I have been doing this a long time. Key orders are usually shipped within 2 business days, often the same or next day after payment is received. 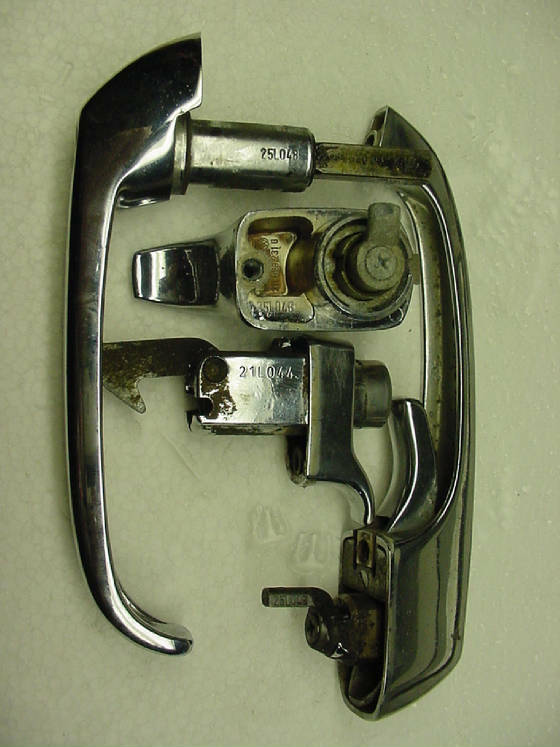 62-67 beetle, rekey and match doors to ignition $29.00 per handle 68-79 beetle, rekey and match doors to ignition $10.00 per handle Rekey ignition 68-97 to match rest of car $40. Must see older locks to quote price. Rekey 2 front doors, side door, rear hatch bus 63-67 $75 plus keys. Locks must be able to accept the same key. Different keys cannot be made to work in different locks. You may end up with all doors matched with a different ignition key. Some VWs can have the ignition lock changed to work with the existing door locks and vice-versa. PAYMENT:You may pay by credit card through Paypal. Be sure to include name address and phone numbers when sending items to me. Include a page of our email communication. Locks, handles etc with the key you want to work should be mailed via Priority Mail with the USPS. They provide the box. Postal service Priority Mail video tape size boxes work well. They hold 2 handles and 2 locks. Send it insured! Flat rate, coast to coast will run about $7 . 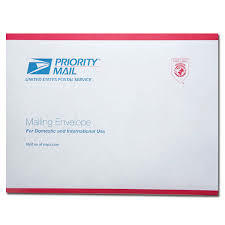 Buying a box and sending parcel post often costs MORE than the Priority Mail flate-rate box or envelope and will take longer as it forces ground transportation (surface). Someone sent me a door handle in a flat rate envelope, no padding, no packing, just loose, only the envelope arrived. This person paid for the "parcel" rate, but the postal service machine processed the envelope anyway, and lost the key. Original look keys with emblem can be made from your generic key. To make a key, send a picture of your key. There is no need to send the key itself. See link below to use your paypal account for shipping locks and handles. Photo copy both sides of the key and write down the code. You may email picture . Do you need to send something for repair? You must print and send 1 page of our email communication with your item. This allows me to locate our email string, your email address, our communications, etc. when the items arrive in the mail. A PayPal invoice will be sent upon arrival for the services and items requested. You can choose 1st class mail for parcels less than 13 oz or Priority Mail, both with free delivery confirmation, you can choose insurance too. No standing in line at the post office, just drop it in the mailbox! Most small locks are 8oz or less when mailed first class in a bubble envelope. that will cost about $2.95 with PayPal shipping. If you stand in line a the post office, it will cost you $3.50 . 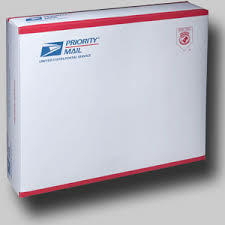 Priority Mail flat-rate envelope is $6.45 for larger items that weigh more than a pound. You can send 2 door handles and a lock in a flat-rate envelope. Wrap in Tyvek or plastic bag, then stuff into envelope. It does not have to be flat to be flat-rate. DO NOT SEND KEYS IN PLAIN REGULAR ENVELOPE, contents will break out and be lost in the mail. Use bubble or padded envelope. We do not make emblem keys without a picture to confirm the cut. Should the key not work, we have wasted an emblem key. We need the lock or a key (image) as a general security precaution. Make a photo copy of your key today, attach it to your title! Take a picture of it and keep it on file in your computer. Keys are cut and mailed same day. Lock work is done within a few days of paying your PayPal invoice. (often in just a day or two). 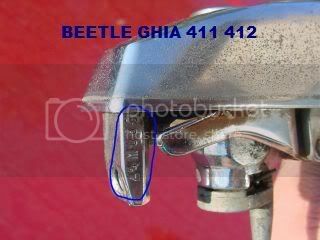 It is well advised on the 1966 to 1979 Beetle, type III, and Karmann Ghia to check BOTH door handles for matching codes since they are so easy to remove. Pay attention which handle has which code if they are different. There is a high probability of success if both codes match. If you want to compare on the Bus and Thing it is not a must. On the 68-74 bus, the sliding door handle is the easiest lock to obtain a code from (75 to 79 on the lock for the sliding door), on the Thing, the engine lid lock is suppose to match and it has a code on it. Ideally you would have a key, and both door handles have matching codes. 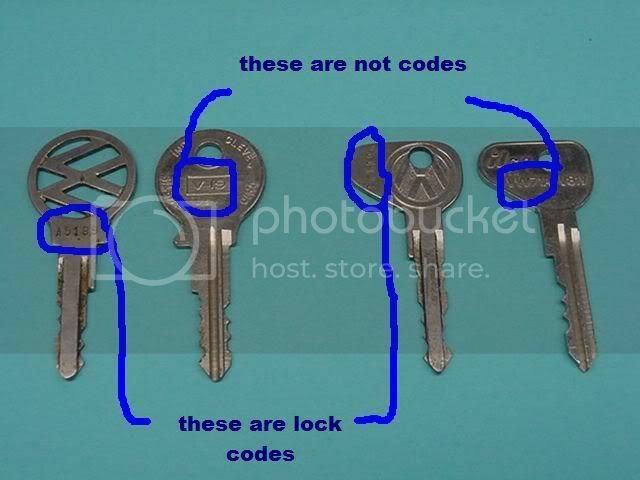 When you have a key, and the handles do not match, I can decode the picture and determine the correct key code. When you do not have a key, the purpose is not to have to remove the ignition switch to get the code, this is a highly intrusive way to obtain the code, especially on 1968 to 1971 cars, you will probably damage the turn signal switch, you will have to cut sheath on wire harness, pull wiring, wrecking a probably good, maybe original turn signal switch, and the new ones are junk, but that may be the end result, so lets do everything else to avoid ignition cylinder removal. If you have a VW and the door handles do not match or the ignition switch is a different key. You may want to consider recoding the different lock to match the key that works the other locks. 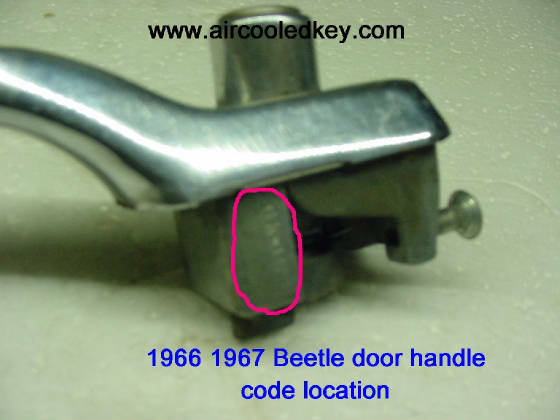 For example if you have a 1974 Beetle and the doors match, the codes are correctly marked on the handles, you may want to have your ignition switch re-coded to match the doors. Then you only have one key and you are not spending money x2 for keys to the car. If you have one door handle that is different, it costs less that the price of an emblem key to change the lock to work. Keep in mind that the locks must accept the same type of key, having the same keyway. If you have an aftermarket ignition switch often using a newer VW key profile, this cannot be done. $29 for pin type or micro screw door handles(61 to 67 type 1, Bus 65 to 79). Generic keys (no emblem) are made for lost key situations. Confirm it works by email and you can then order emblem keys. The reason for this is should I cut an emblem key, and it did not work, you would want a refund and we will have wasted an emblem key. Not all lock codes are correct. Some have had the cylinders changed, you may have read the code wrong, the code was stamped from the factory incorrectly. All of these things have occurred in the past. Only one key is made until there is proof it works. There are no refunds, should the key not work, the lock and non working key will need to be sent. Cylinders get changed, used locks bearing the wrong code, etc. To head off this problem, check both door handles for matching codes and send pictures of each keyhole to identify the lock generation. = $24 price includes shipping worldwide, enter a valid code and key ships same or next day. Keys are shipped with tracking by USPS, often sent the same day. There is no extra charge for shipping, tracking, paypal fees, etc. If your browser will not work in entering the code in the above paypal button, use this one. You will have to email me the code. This button is for lost keys costing $28 as above. Email or fax a picture of your key to order a key cut by code. Items are shipped with tracking by USPS, often sent the same day. There is no extra charge for shipping, tracking, paypal fees, etc. Codes and where to find them. Should you have 2 different codes, email me. Below are the code ranges for the models. rusty or dirty and you may have to clean it. 68-79 bus: the easiest place to find a code is the sliding door lock. Same for 80-92 Vanagon. door panel and unscrew the latch to gain access to the screw holding the cylinder. The code is on the side of the cylinder. and sometimes difficult to read. You will have to remove the door panel, allen screws hold the handle on. The rear hatch also has the code on the finger that moves the latch. Three screws hold it on. They are often very tight. 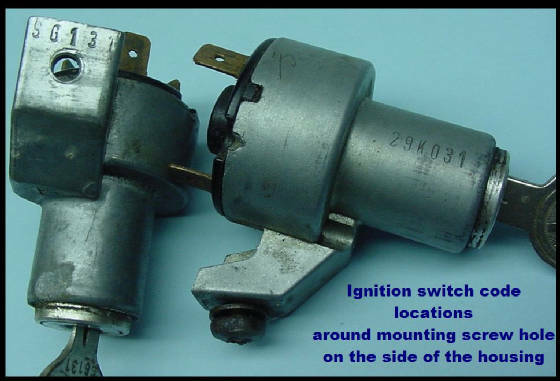 Ignition switch code location 1968 to 1999. Shown here is a 72-73 housing, the 68-71 and 74-79 housings are similar. 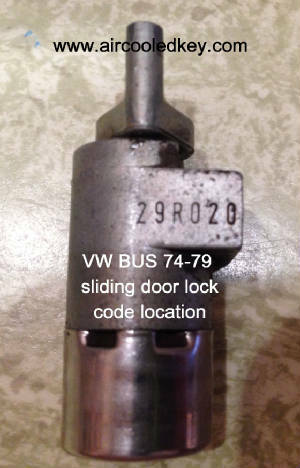 Examples of 1969 bus locks, see the codes? This guide has been moved to the last page. More pictures, application updates. CONTACT US by clicking here to order a key, please include your lock code, model and a picture of your key blade pointing to the right If you only have 1 key, you are tempting fate, order 2 new keys. You do not have to send a key to make a copy. 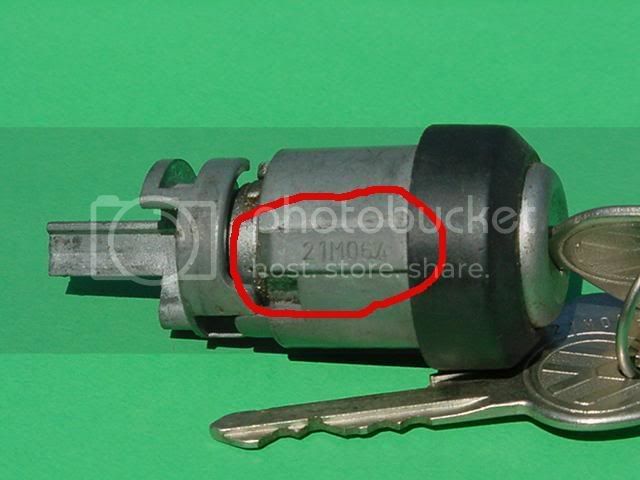 vintage keys are made using the lock code and a picture to confirm the cuts.